Mike Cannon-Brookes is the co-founder and co-CEO of Atlassian. Mike has received international recognition for his work, including the "Australian IT Professional of the Year" award in 2004, and "Australian Entrepreneur Of The Year" in 2006. He's been honored by the World Economic Forum as a Young Global Leader in 2009 and is currently a member of The Forum of Young Global Leaders. He was also recognized on Fortune's 40 under 40 list alongside Scott in 2016. Outside Atlassian, Mike is an active angel investor and a non-executive director of Tyro, a technology-focused Australian bank. He serves as an adjunct professor at the University of New South Wales' School of Computer Science and Engineering, as well as chair of the Computer Science and Engineering Industry Advisory Board. Mike holds a Bachelor of Commerce in information systems from the University of New South Wales, Australia. Aubrey Blanche is Global Head of Diversity & Belonging at Atlassian. There, she works with teams across the business to enhance access to technical education, recruiting, retention and career mobility for underrepresented minorities. She believes that leading with empathy is the key to creating highly effective teams. Aubrey also serves as an advisor to the SheStarts accelerator and is co-founder of Sycamore, a community aiming to close the funding gap for underrepresented founders. Follow her on Twitter at @adblanche. Otto is a bit of an extremist. His wife likes to say that: "He is the most competitive person I know", to which Otto likes to say "YES! Nailed it!!!". This type A personality is all about setting *big* goals, like going from pack a day smoker to Ironman triathlete - Otto truly believes anything is possible. The key is creating a strategy, breaking it into goals and ever smaller chunks then relentlessly going after them. That’s the approach he’s used in life as well as leading the 150+ team that builds the Jira cloud platform. Scott Farquhar is the co-founder and co-CEO of Atlassian. Scott was awarded the ‘Australian IT Professional of the Year’ in 2004, and in 2006 was the youngest person ever to be awarded the ‘Australian Entrepreneur of the Year’ by Ernst & Young alongside co-founder and co-CEO Mike Cannon-Brookes. Scott was also awarded the Corporate Social Responsibility Award in 2011 by the Young Presidents’ Organization (YPO) – Atlassian donates 1% of profit, product, equity and employee time to charity, helping thousands of children in developing countries receive an education. In 2016, he and Mike were recognized on Fortune's 40 under 40 list. Scott is a widely sought-after keynote speaker and has addressed audiences at conferences and events in Australia and around the globe. Scott actively participates in the Sydney startup scene, contributes to Australian seed fund StartMate and venture capital fund Blackbird Ventures, mentors women through the Australian Business Women’s mentoring program and lectures on entrepreneurship at the University of New South Wales. Scott holds a Bachelor of Science in business information technology from the University of New South Wales, Australia, and is a member of YPO and the Australian School of Business Alumni Leaders Network. Mike Cannon-Brookes, Co-Founder & Co-CEO, will share Atlassian's journey of building an enduring company, discuss the challenges of scaling an organization, and provide honest advice on how teams can navigate the complexity that emerges in a hybrid cloud & server world. We'll also highlight exciting developments with the Jira family of products. Join us to hear from Mike and other Atlassian speakers to learn all about the past, present, and future for Atlassian and our customers. 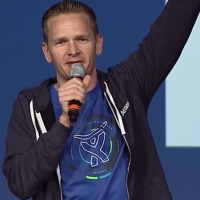 Jay Simons is the president of Atlassian. He joined the company in 2008 as vice president of sales and marketing to lead Atlassian's pioneering efforts to develop a high-velocity, low-touch sales model. Jay's overseen the company's global expansion, introduction of its Starter License program (a disruptive approach to "freemium" where the company donates all proceeds to a charitable cause), and its growing worldwide customer community and programs. Jay has more than 20 years of experience in the software industry. He began his career at Plumtree Software where he held a variety of senior marketing and sales roles. Significantly, Jay oversaw the company's expansion throughout Europe and Asia Pacific. When Plumtree was acquired by BEA Systems in 2005, Jay became vice president of marketing for BEA Systems, which was later acquired by Oracle in 2008. 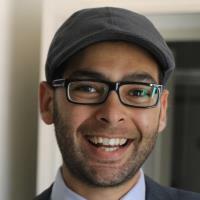 Jay serves on the board of directors for HubSpot and holds a bachelor's degree in political and environmental science from the University of Washington. Bek Chee has spent the last 20 years seeking to increase the impact and improve the health of individuals and teams. As Atlassian's Head of Talent, Bek is focused on cultivating high performing teams and integrating meaningful growth experiences across the entire employee lifecycle. She leads Talent Acquisition, Diversity & Inclusion, Learning and Development, and Performance Development for Atlassian. 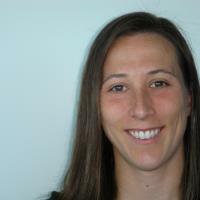 Prior to Atlassian, Bek spent several years as an HR Business Partner and advisor at both Microsoft and Nike. In addition, she worked as a family therapy psychologist and college basketball coach. She takes pride in leveraging a multi-disciplinary and humanistic approach to teams, rooted in psychology, economics, athletics, systems thinking, leadership studies, and personal experience. Molly Hellerman is the Head of Strategy & Programs at Atlassian. In this role, she drives strategic business decisions for Atlassian's R&D team, working directly with the CTO and other company leaders to encourage, inspire and operationalize innovation. Prior to Atlassian, Molly's experience shows that she isn't afraid to flip a model on its head. From managing merger and acquisitions to commoditizing the online metal market in the U.K. to co-founding a non-profit – her thread of disruption runs deep. She's also a former collegiate and professional athlete (Chelsea Ladies FC) and a trainer for Positive Coaching Alliance. Molly currently serves as a Fellow to both the United Nations (Alliance of Civilizations) and the British Council (Transatlantic Network 2020). She holds an MBA from Harvard Business School and a BA in Economics and Spanish from Wellesley College. Jay Simons, Atlassian's President, will highlight the power of building an open culture and creating an environment defined by open teamwork. Hear about how companies across all industries are embracing the path toward open and learn how Atlassian's culture evolved. Get practical tips and lessons to take back to your team on how to break down silos, ship code, and simply get sh*t done. Prepare to be inspired and explore what's possible when you create an environment where teams can work open. Dom Price is the head of R&D and work futurist at Atlassian, a leading provider of team collaboration and productivity software. Dom manages planning, execution and operations for Atlassian's five global R&D centres, and is responsible for leading the company's global innovation programs and workplace practices for its more than 2500 employees. With nearly 20 years of experience managing global teams, Dom is passionate about discovering patterns and creating play books that transcend cultural differences to help teams work together in the most efficient, productive way possible. His work is helping to define the way the teams and companies of tomorrow will work. Dom's career has reached far and wide through Europe, US and Asia PAC. Previously Dom was the general manager of program management for a global gaming company. Prior to that he was a director at Deloitte, where he provided assurance and consulting services across the areas of project management, product management, IT systems and change management. Over the years, Dom has held a variety of roles in technology risk consulting, product development and program management across businesses in beverage, telco, manufacturing, software development and gaming. Dom is a keen traveler, having traversed over 50 countries and counting. Originally from Manchester, Dom now calls Sydney home after more than 12 years on the shores of Australia. We're bringing Atlassian's quarterly, 24-hour period of innovation to Barcelona! Witness teams race against the clock to ship an amazing project and vote for your favorite hackathon winner. Keshav leads the product management team that is responsible for the vision and strategy of Atlassian's Server products including Jira Software, Jira Service Desk, Confluence, Bitbucket, and Bamboo. 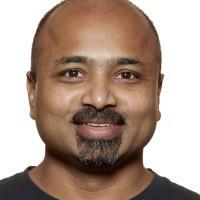 Prior to Atlassian, Keshav spent 20 years at Microsoft leading a variety of product management teams including Microsoft Project, SharePoint Social and Yammer, the Edge web platform, and the source control system for the Windows and Devices Group. In his free time, Keshav enjoys cricket, mixing whiskey cocktails, and traveling the world with his wife and two daughters. He's traveled to more countries than his age and his goal is to keep it that way! As an enterprise, you rely on Atlassian products to not only provide individual team autonomy but also to connect and bridge teams and make your team of teams successful. As the adoption of products and practices like Agile, DevOps, and ITSM expand across teams, you need to strike the balance between growth and control of your Atlassian applications. In this session, Keshav Puttaswamy, Head of Product Management for Server, will focus on the new features we are bringing to our Server and Data Center offerings. You'll learn how we're making individual teams more productive, the investments we're making to support you scaling your teams, applications, and infrastructure, and how we're setting you up for the next chapter of growth with Atlassian. Long timer at Atlassian, currently a Product Manager. Have worked on Jira, Confluence and Bitbucket in engineering and product. Passionate about solving real problems for our customers. Software has changed the way we work, and no one has had to adapt faster than the IT team. Customers expect their business apps to be fast, always on, and with outstanding experiences on par with the consumer apps they use every day. In this talk, product leaders from Jira Software, Jira Service Desk, and Statuspage will speak to exciting new developments across Atlassian cloud products targeted at helping IT teams meet these challenges through strong collaboration with their dev counterparts, better operations, and world-class support. Join us for demos of the latest and greatest, a few announcements and an early access opportunity you won’t want to miss! Join us to hear how you can use Atlassian Cloud to drive teamwork at a global scale. We’ll share groundbreaking updates across our cloud products and the latest platform capabilities. If you want an exclusive sneak-peek at the new and improved Jira, this a can’t-miss session! We’ll also walk you through a series of exciting announcements on cloud performance, scaling the Atlassian suite across large multi-instance organizations, and how we’re protecting your privacy through GDPR and data regionalization. With this state of the union, you’ll be caught up on the most important updates to Atlassian’s Cloud offerings.